From October 2015-January 2016 young people accessing Education Other Than at School (EOTAS) provision in Rhymney enjoyed a series of creative writing workshops led by Mike Church, funded by the Rhys Davies Trust and Caerphilly Arts Development. 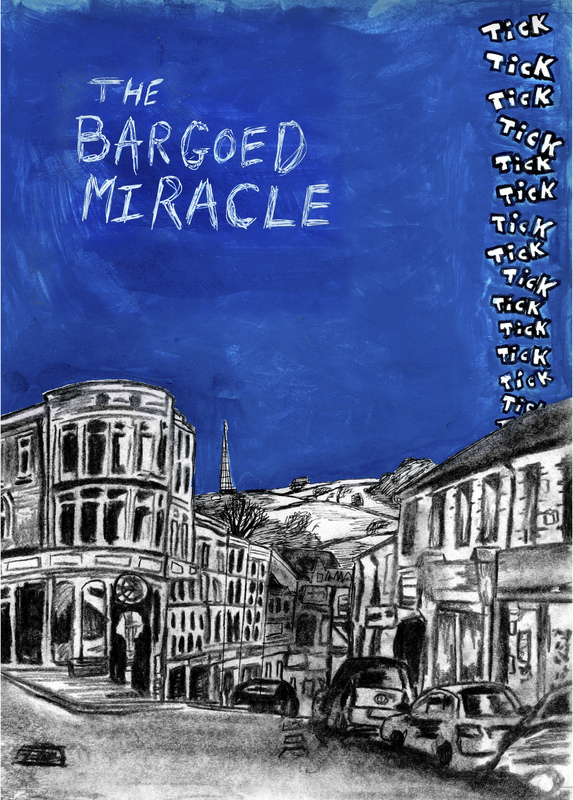 Through a series of interactive drama and creative writing workshops, the young people devised the story of the Bargoed Miracle, reflecting the imagination and experiences of the young people in the group. Illustrator, Osian Grifford joined the final sessions to introduce and explore the illustration styles of a range of graphic novels. Based upon their preferences of illustration, Osian illustrated the story and created a stunning graphic novel, which was launched at Rhymney library on 26 April. Illustrator Osian Grifford said: “It was brilliant seeing Mike [Church] bring an energy to a room of 14-16 year olds that allowed a strange and comedic story to flow continuously from them. Encouraging a playful atmosphere brought a confidence and a creative flow that the group steered into creating a story and world that could only have come from their minds and perspectives.